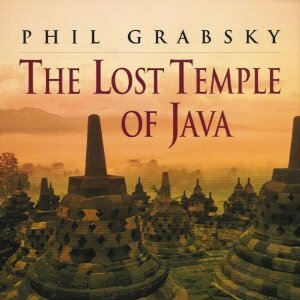 The Lost Temple of Java is now available to buy on Audible & Kindle as well as in book and DVD form. Get your desired version from the links below! Borobudur in Central Java is unique. In the shape of a pyramid, with four square terraces leading to three circular ones, this extraordinary building is covered with 3 miles of carvings. Situated on a lush palm-covered volcanic plain, this is a building that deserves the title of ‘eighth wonder of the world’. Remarkably, this massive construction lay deserted and obscured by jungle for over 1000 years, only to be re-discovered by none other than famous Englishman Sir Thomas Stamford Raffles.